Alzheimer’s disease is the most common cause of dementia — a group of brain disorders that cause the loss of intellectual and social skills. In Alzheimer’s disease, the brain cells degenerate and die, causing a steady decline in memory and mental function. Approximately 200,000 Americans under the age of 65 have early-onset Alzheimer’s disease. Alzheimer’s Disease is a progressive brain disorder that slowly destroys memory, thinking skills, and eventually, the ability to carry out the simplest of tasks. It is very likely that damage to the brain starts a decade or more before memory and other cognitive problems became evident. Alzheimer’s patients may have trouble focusing, a hard time doing ordinary activities, confusion or frustration, dramatic mood swings – outburst of anger, anxiety, and depression, disorientation, physical issues with gait and coordination, and trouble communicating. Alzheimer’s disease typically destroys neurons and their connections in parts of the brain involved in memory, including the entorhinal cortex and hippocampus. It later affects areas in the cerebral cortex responsible for language, reasoning, and social behavior. Eventually, many other regions of the brain are damaged. Over time, a person with Alzheimer’s gradually loses his or her ability to live and function independently. If care is sought in the mild to moderate stages, it allows for better outcomes and slower decline. A thorough professional evaluation may detect an underlying treatable condition even if symptoms suggest Alzheimer’s. Early diagnosis allows a person to get the maximum benefit from available treatments and provides time to plan for the future. Revive utilizes research-based diagnostics to evaluate function in specific areas of the brain. Looking at eye movements, motor function, sensory function, cranial nerves, cognitive function, balance, and gait. This information allows us to better understand what areas are affected so we can develop a treatment plan that targets those regions and networks to make them stronger and more efficient. These tests include eye movements, motor function analysis, physical exam, cognitive ability and balance. The VGN or testing of eye movement gives us a representation of the function of eye muscles, cranial nerves, brainstem nuclei, cerebellum and cortical regions. By measuring things like gaze stabilization, smooth pursuits, saccades, and optogenetics it helps us to differentiate the areas of weakness. Motor function analysis enables us to see the strength, tone, and coordination of the movement of muscle groups so we can better understand the regions and networks of involvement. Networks that are utilized in a movement are the coordination of movement involve the frontal lobes, parietal lobes, and the cerebellum. In our office, the physical examination is focused on not only finding definitive signs of functional deficits but also catching the subtle changes which give us greater insight into the physiology and function (these findings are often considered irrelevant or ‘within normal limits’ in most conventional clinical settings). Cognitive testing is utilized as a baseline marker to measure and monitor patient outcomes. These quantifiable tests validate results in many different avenues. Our testing encompasses depression screening, anxiety screening, verbal memory, psychomotor speed, processing speed, simple attention, and motor speed. Balance test or vestibular testing gives us an insight into the function of networks that are needed for standing, walking, even riding in a car. We look at the three main factors of balance (Vestibular, proprioception, and vision) both together and individually to isolate the areas of involvement. 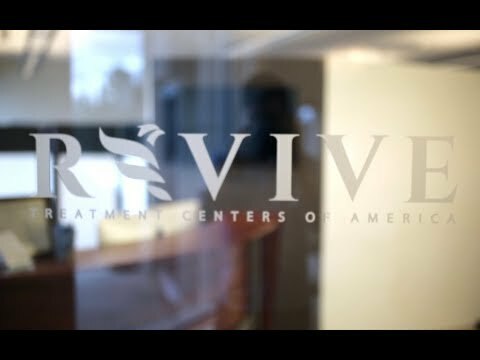 At Revive we specialize in providing treatment to the neurological regions affected by Alzheimer’s. Your treatment can include balance, gait, and eye training; as well as hand-eye coordination, repetitive transcranial magnetic stimulation (rTMS), hyperbaric oxygen, diet, and supplements. We offer a unique process that is built to maximize time and results. To reach your personal healthcare goals, it is imperative that your physicians and care providers precisely know your individual story and desires. Your individual goals are the focal point of the comprehensive treatment plan which is based off your exam, diagnostics, and lab results. Beyond the neurological system, there are many factors that can impact the presentation of Alzheimer’s: the immune system, diet, sleep, and stress (to list a few). By integrating knowledge of the brain and influence of these factors, we are able to be very specific with targeted therapies which create lasting neurological changes. Your treatment plan is designed specifically for you and is not a protocol. This plan is executed over 5-10 days. Patients see measurable improvement during their time in our office and continue to make gains once they leave. To help ensure success on your journey of healing, we create and define a plan for you when you go home. This plan may include sourcing local specialist for a safe and effective continuum of care. Our goal is to see each patient continue to build upon the initial results they achieved in our office. Eye training drives brain activation and growth. Research has shown that the utilization of eye movements activate multiple brain regions. Combining specific eye movements with visual stimulation allows us to strengthen targeted brain regions. Saccadic latency in Parkinson’s disease correlates with executive function and brain atrophy, but not motor severity. A fMRI study of optokinetic nystagmus and smooth-pursuit eye movements in humans. Rapid Transcranial Magnetic Stimulation (rTMS) sends a magnetic waveform through the skull that depolarizes the brain cells. rTMS can be directed at specific regions of the cortex to cause activation of the neurons in the area. Using non-invasive transcranial stimulation to improve motor and cognitive function in Parkinson’s disease: a systematic review and meta-analysis. Follow up study: The influence of rTMS with high and low-frequency stimulation on motor and executive function in Parkinson’s disease. Treatment of Alzheimer’s Disease with Repetitive Transcranial Magnetic Stimulation Combined with Cognitive Training: A Prospective, Randomized, Double-Blind, Placebo-Controlled Study. Hyperbaric Oxygen therapy has shown to increase oxygen saturation to tissues and increase the amount of stem cell production and circulation. This allows for the greatest potential for healing in the brain. Hyperbaric oxygen therapy for brain injury, cerebral palsy, and stroke. Regional gray matter atrophy and neuropsychological problems in relapsing-remitting multiple sclerosis. Hyperbaric Oxygen and Ginkgo Biloba Extract Ameliorate Cognitive and Memory Impairment via Nuclear Factor Kappa-B Pathway in Rat Model of Alzheimer’s Disease. Function Movement exercises and Whole body vibration have shown tremendous results in increasing strength and self-awareness while decreasing spasticity. The word of virtual reality has grown rapidly in recent years. Currently, research is looking at the affect of VR on gait and movement. We may incorporate different types of VR to help patients with their perception of space and self. Virtual reality and motor imagery: promising tools for assessment and therapy in Parkinson’s disease. Effectiveness of a Virtual Reality Forest on People With Dementia: A Mixed Methods Pilot Study. Testing the effectivity of the mixed virtual reality training Into Dementia for informal caregivers of people with dementia: protocol for a longitudinal, quasi-experimental study. We utilize E-stim in many different waveforms to increase strength, increase self-awareness, decrease spasticity. The following studies are studies of individual waveforms and how they can affect strength, spasticity, and awareness. Action mechanisms of transcranial direct current stimulation in Alzheimer’s disease and memory loss. Temporal cortex direct current stimulation enhances performance on a visual recognition memory task in Alzheimer disease. Sensory Motor Integration (SMI) can help increase reaction time and motor skills. SMI is strongly researched in the world of developmental delays and can be adapted to affect many different disorders. Cold Laser Therapy has shown increases mitochondria production in cells, helping to decrease inflammation and increase healthy cellular activity. When the cold laser is utilized as a transcranial (through the skull) therapy, we see an increase in brain activation to the targeted areas. Vestibular therapy is a very powerful tool in the world of neurological rehabilitation. When we look at brain development, we see that movement drive brain growth and one of the most important areas for sensing movement is the vestibular system. When we utilize rotational therapy to active the vestibular system we see an increase in activation in several cortical regions. Gaze and viewing angle influence visual stabilization of upright posture.